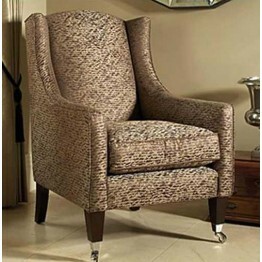 The Mitford Chair from Parker Knoll, this is a design classic. Small side wings which run down to the arm and merge into each other so well. A reversible seat cushion and a firm sprung fixed back cushion. This chair can be ordered in all the different Parker Knoll fabrics and also with a three wood shades and two caster colours. Free delivery across mainland England and Wales, as well as keen year round prices. The Mitford Chair from Parker Knoll, this is a design classic. Small side wings which run down to ..